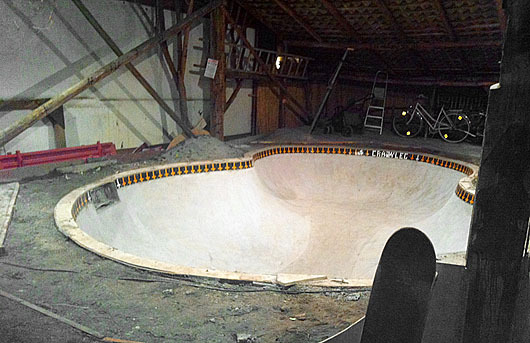 The Maya Pool is another DIY pool built for a girl called Maya. Skateboarding News from southern Germany. "I think it’s a dream of every skater to have his own ramp at home. Sure, I have my own ramp at home. Sure, it’s a crazy big ramp, half bowl half mini ramp, etc. But sure its not a pool...." The owner at Crazy-Leg-PoolSkate. I love that the pool is named for a girl;. YES!